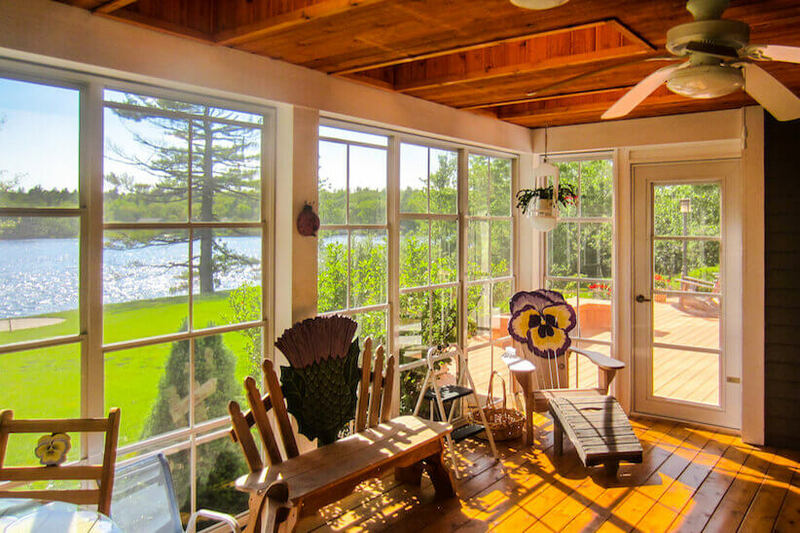 Enclosing your porch with high-quality windows is a wonderful way to bring more space, light and joy to your home. 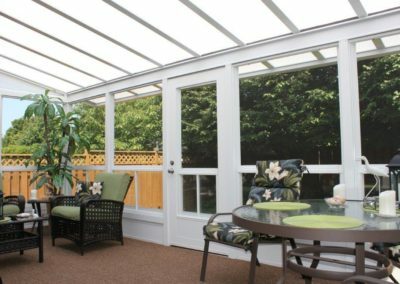 Would you like to add more usable and enjoyable living space to your home? Schedule your free design plan today! 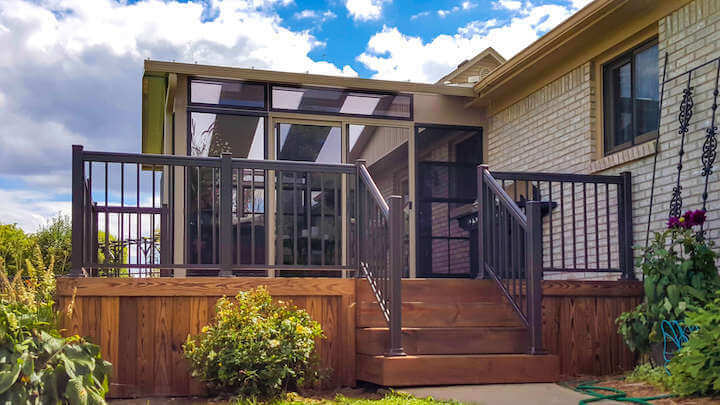 Sunspace uses WeatherMaster windows for all its porch enclosure projects because we insist on using highest quality windows that are maintenance free and carry a lifetime warranty. 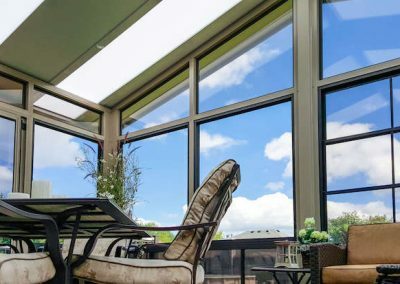 WeatherMaster windows are stylish, safe, and versitile. They also add functionality, beauty and user-friendly operation while increasing the value of your home. 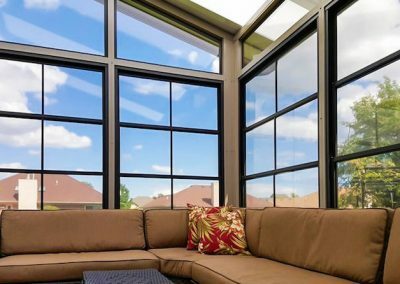 WeatherMaster windows are designed and constructed to give you the best product and price to fit your needs. 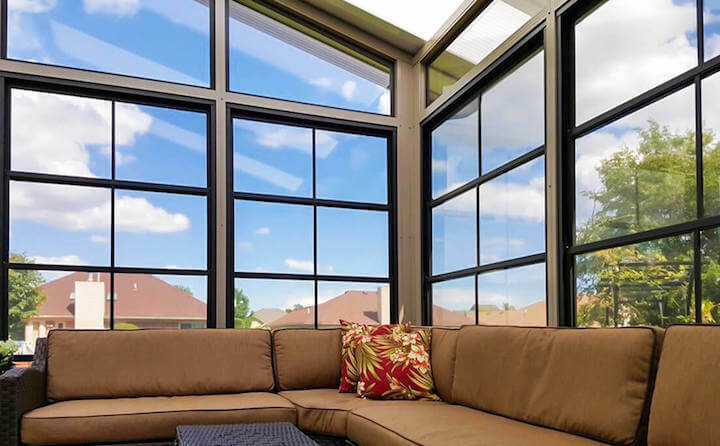 Whichever WeatherMaster windows option you choose, you will enjoy the benefits of the outdoors without common annoyances of bugs, wind, rain, dust and harmful UV rays. 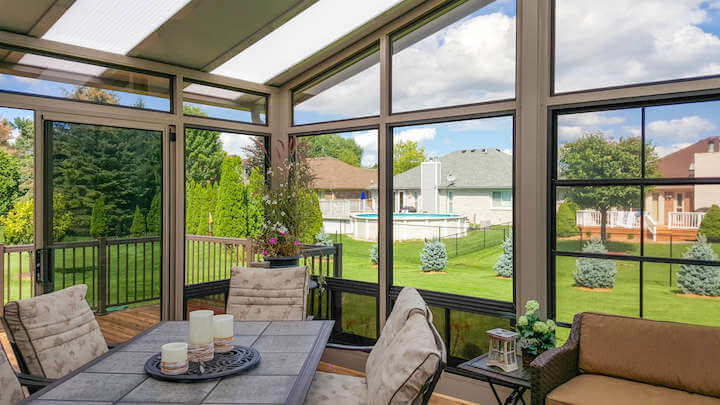 WeatherMaster 4-Track vinyl window system is a great option for those desiring increased utility and ability to install full porch enclosure windows from the ground up. 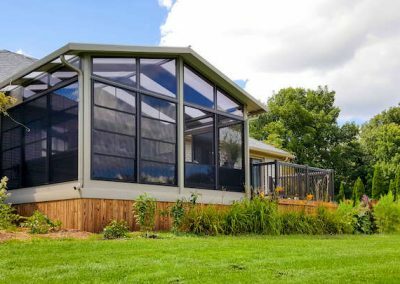 The 4-Track vinyl window system allows each window unit to slide up or down effortlessly in a variety of configurations for up to 75% ventilation. 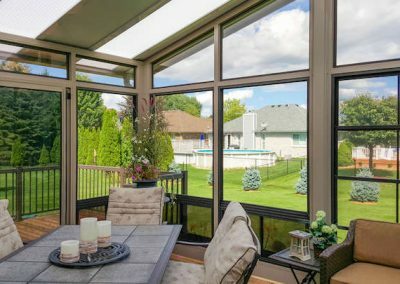 WeatherMaster vinyl windows are made with durable View Flex vinyl glazing, which is more safe and more durable than glass. They are available in 7 frame colors, 4 tint colors as well as a selection of screen options. 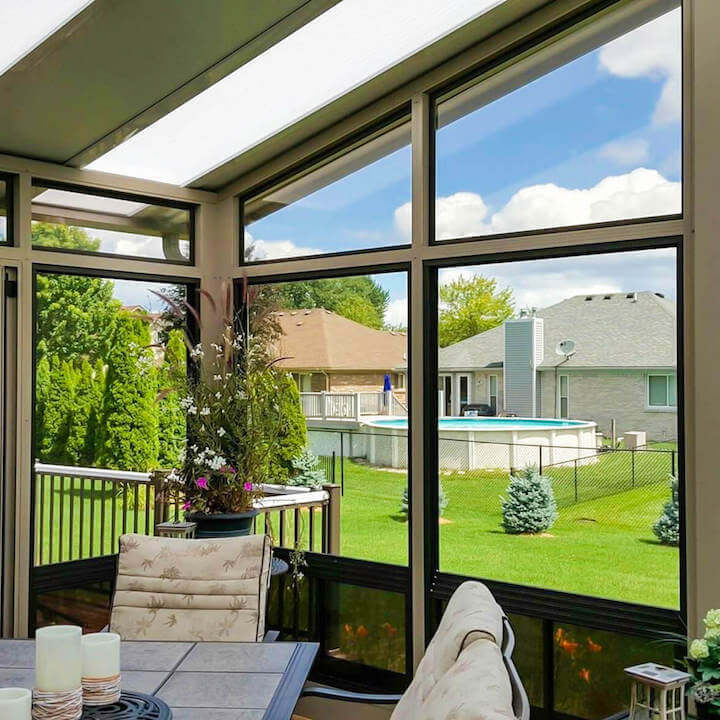 WeatherMaster horizontal sliding window system is a great option for those needing to work around existing walls and structures while enclosing a porch or gazebo. 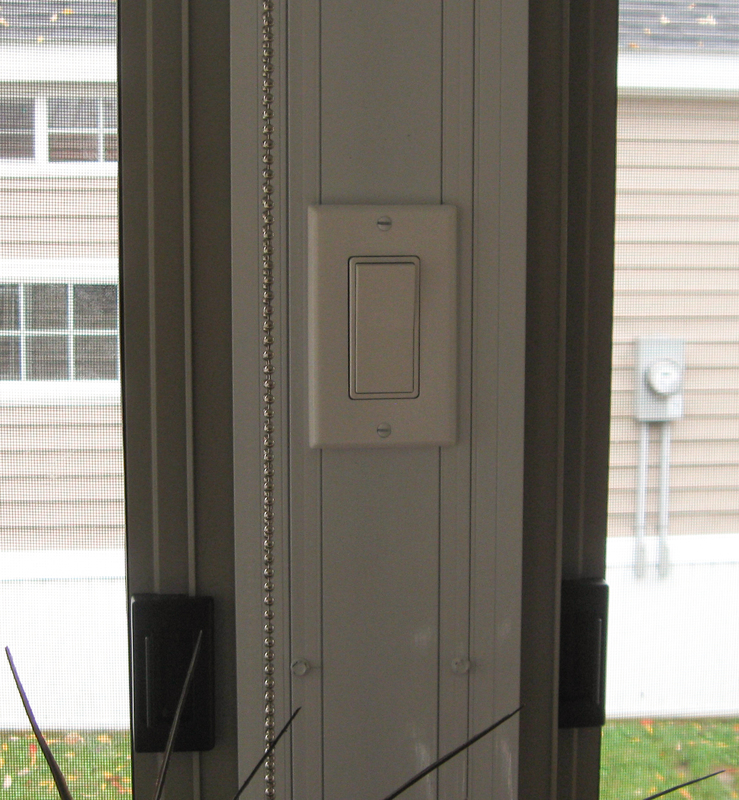 The horizontal window system allows each window unit to slide horizontally effortlessly for full ventilation. 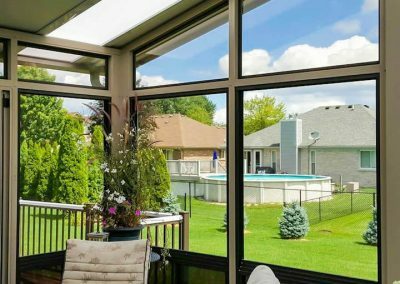 WeatherMaster horizontal vinyl windows are also made with durable View Flex vinyl glazing, which is more durable than glass. They are available in 7 frame colors, 4 tint colors, and a selection of screen options. 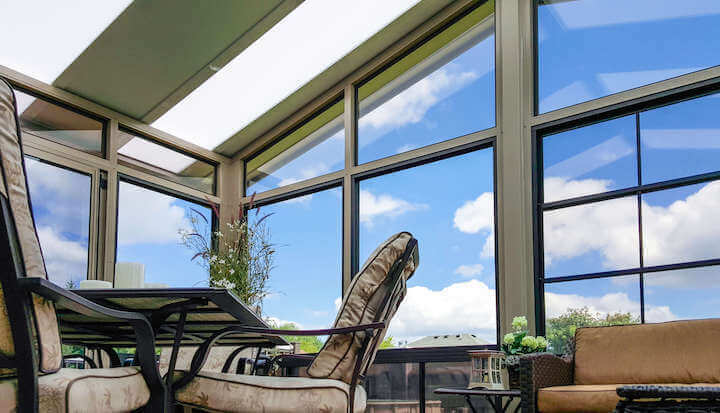 Weathermaster windows can be installed as individual units in an existing frame. 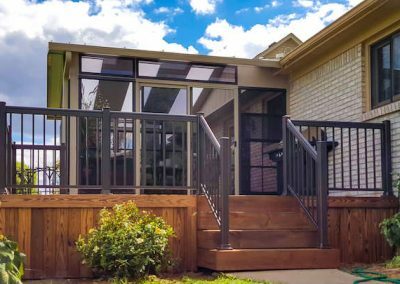 This happens often when our client is updating an existing screen porch to a 3-season space. We simply build our windows to the dimensions of those posts. 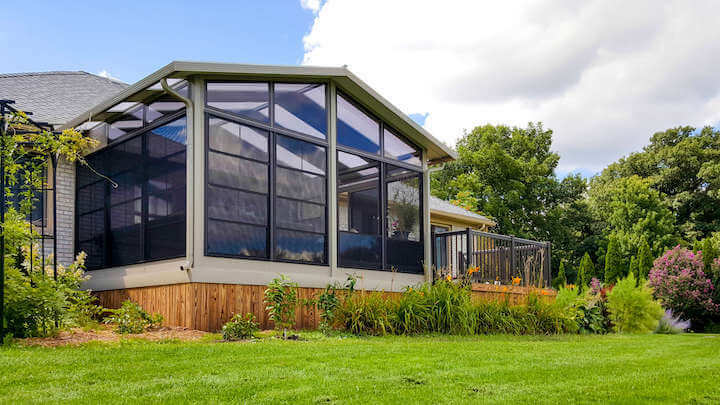 If some of those posts are not load bearing and can be omitted, Weathermaster windows can be built milled together in our factory as double or triple windows up to 12 feet in width. 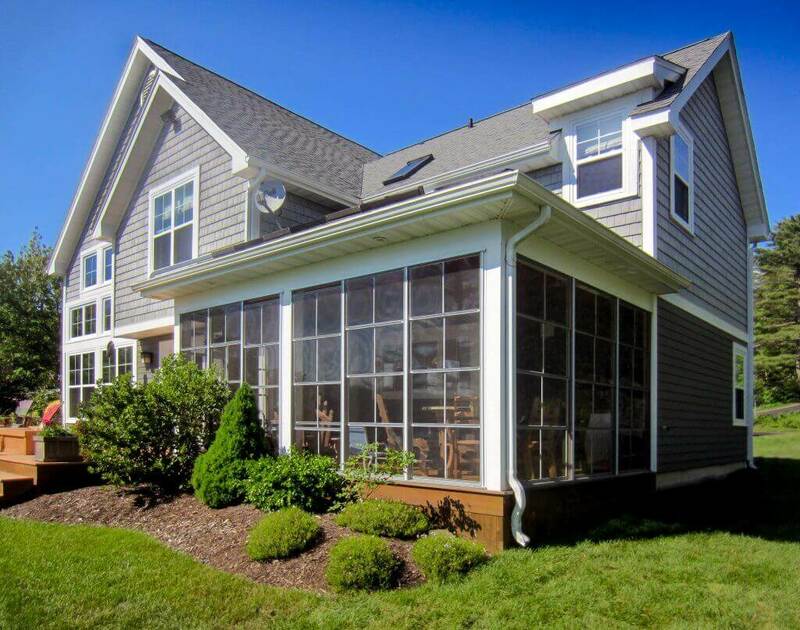 Requires less framing in applications of new construction or renovation. Can sometimes eliminate the need for excess of capping. Consult with local dealer for these details. 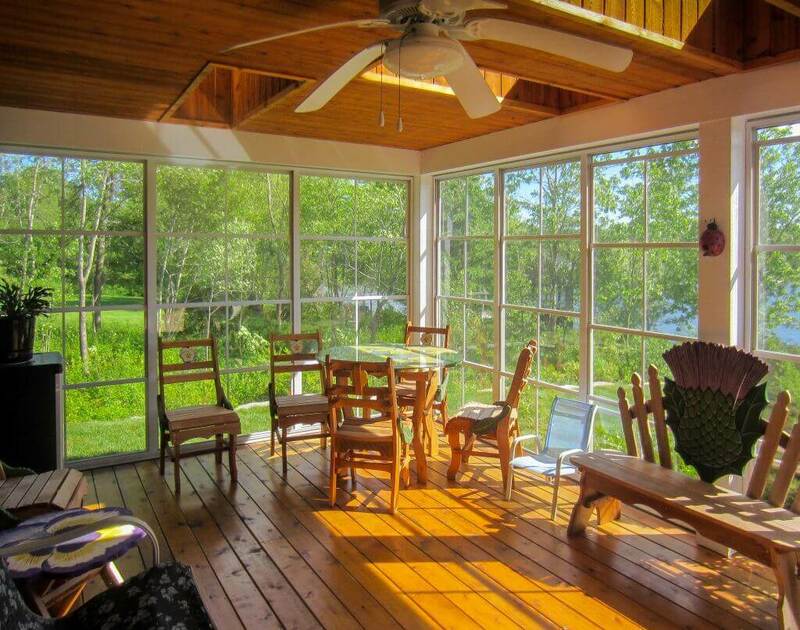 Can eliminate the need for additional interior wood trim. Knee walls and or transoms no longer need to be framed separately. 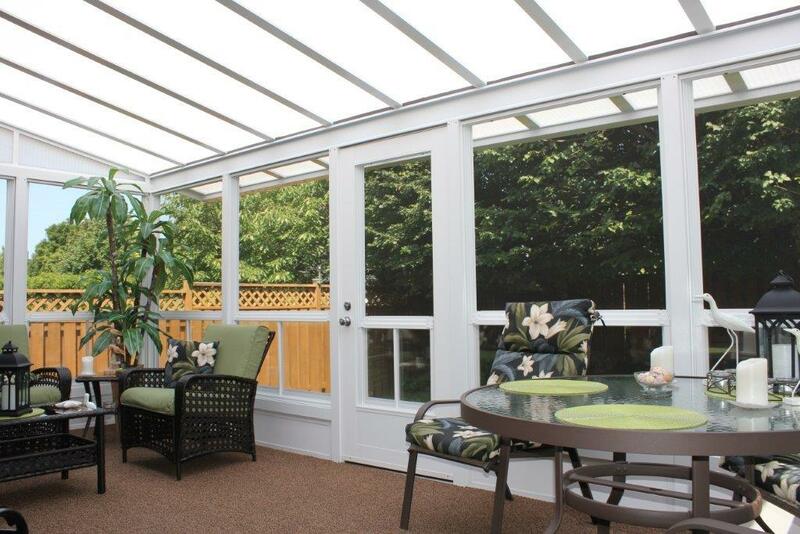 Sunspace knee walls can be tempered glass or maintenance free insulated panels. 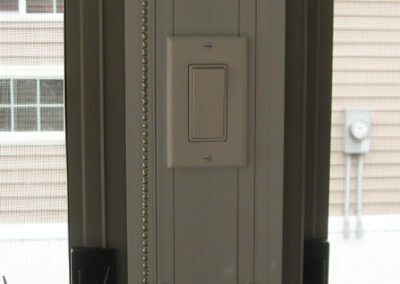 Model-200 wall system can incorporate wire chase for lighting, fans, lighting as well as switches and outlets. Model-200 wall system is also available in different colors and also a combination of colors, 7 to choose from. All custom sized and custom configured. The System accommodates for out of plumb walls and unlevel floors.